Bridging loan calculator and rates of interest. Short term bridging loan finance calculator. You can quickly and easily work out your interest repayments without using an online bridging loan calculator. For example, if you are borrowing £50,000 at a cheap rate of 1%, simply divide the amount by one hundred or take of two zeros. At one percent, your monthly repayment total is five hundred pounds per month. Quick and simple. However, we do have a loan calculator below if you are using awkward amounts like 1.45% interest and £75,000.00 borrowing amount. Alternatively, you can give us a call or use a desktop calculator on your phone or P.C. 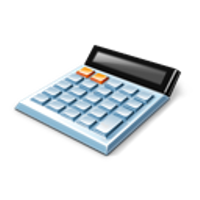 The loan calculator below can be used for any type of standard financing. Just enter how much you want to borrow and the rate of interest and how long you think you would take to repay the full amount in one go and you will get the amount of interest per month and the amount in total once you press calculate. However, please be advised that some lenders, whilst they do not have up front fees, have the administraive costs built into the funding making your loan value slightly higher. One thing that isn't built in is the valuation. You pay that upfront. Or give us a ring. Unfortunately, the way revolving credit works, it is impossible to use a finance calculator to work out the interest as it doesn't work like a normal loan. You have an agreed amount in an account. When ever you use any of that amount, you pay interest on what you have used only. So in effect, you could have access to £30,000 yet only us £3,000 of the funds meaning you would only pay your monthly interest fee on the three thousand used and not the whole amount available. A good system for long term projects, but an A1 credit history is needed. Please be advised, currently our leasehold loans, which is a system of securing finance against a long term lease is only available in London. We cannot extend this unique method of borrowing to any other area of the United Kingdom. That being said, it works practically the same as secured short term bridging loans. If you default on repayments, rather than a property being repossessed, the long term lease is signed over to the lender from our panel who actioned the financing for you. 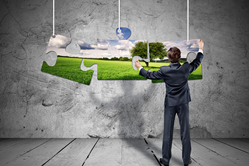 A London leasehold can be used for any purpose. Call us today. 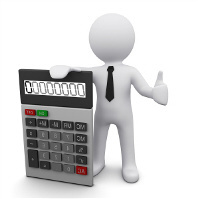 Quick and easy bridging loans calculator. 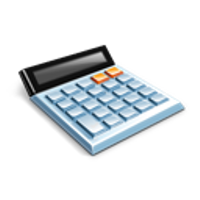 The above bridging loan calculator can be used for both residential / homeowner bridging finance and also commercial / business bridging loans. However, until you speak to us or send us an online enquiry, we are unable to give you an exact rate of interest as there are several criteria taken into account to ascertain what your rate of interest would be. This includes the actual loan amount, the LTV (Loan To Value) of the borrowed amount and your basic credit report. Typically, rates can vary between 0.45% per month to 2.00% dependent on the above factors. Obviously the higher the loan vale and better the equity in the property or properties being used as security will determine a lower rate of interest. Please be mindful of the fact that any land home, house or property used as security is liable for repossession should you default on payments or fail to clear the whole amount in the alloted time. That said, we do not want to repossess. If you do coe under financial difficulty, talk to us and we look at the option of extended or refinancing your loan. Call to us on 0845 475 1814 or you can click below to apply online, or you are able to call us up from your mobile phone on the landline number 0203 287 7169 or request a call back by using the quick contact form on the right or directly below this block, still without being under any obligation to accept any offer presented to you. Alternatively, apply online by clicking the button. We can offer short, medium and long term options for businesses in the UK in need of short term business bridging finance. We have a plethora of products available. 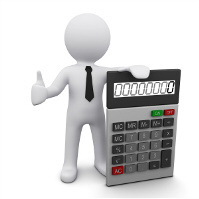 However the above calculator, whilst can be used for short term packages, cannot be used for longer term funding. Too find out about medium terms rates and repayments, simply get in touch by phone or use our online enquiry form to request a callback from us. 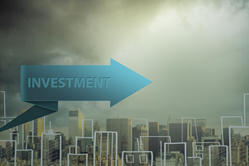 We can then go into greater details about the business or commercial loan packages available along with interest and payment terms. Specialists in auction finance, we can help you get a quick bridging loan in place so you can bid on the property or land knowing funds are there. It doesn't matter which property auction or auctions you are contemplating on visiting, we can arrange an auction finance package based on the equty in the house, property or land you are bidding on or other properties you might have in your property portfolio. Whether you are looking for a 1st or 2nd charge unregulated bridging loan for the purchase, or have a bad credit history, we can help you with finance even if you have refused elsewhere. As we are the actual lenders, we can help home owners get funding even if they have been refused elsewhere. Property secured only. 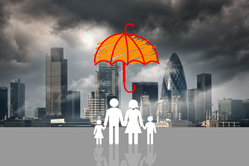 We offer both regulated and unregulated cheap bridging finance however due to new borrowing retrainst if you want an unregulated bridging loan, you , or family member, like children for instance, are unable to live in the house used as security. Residential bridging loans can be used to bridge the gap in a property sale or a break in the chain so you can secure your new home or property quickly and easily.